With a desire to extend their current services in the region, The Village of St. Edward enlisted Andrews Architects in the design and development of a new campus in Wadsworth, Ohio. 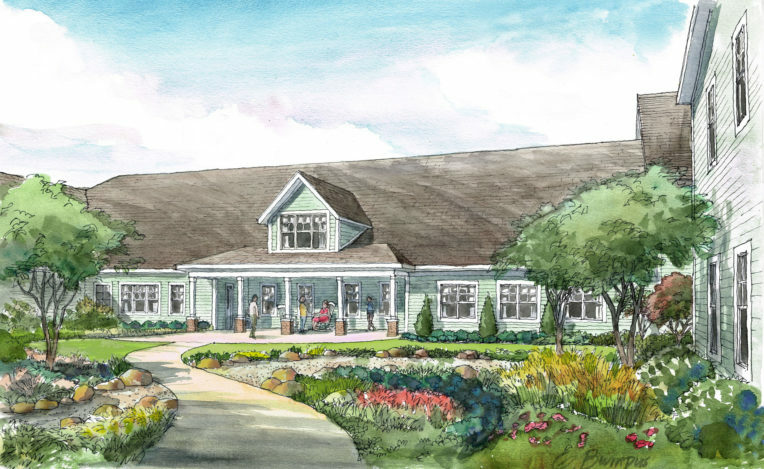 The new campus will provide independent living, assisted living, and memory care services in a facility designed to promote independence and a sense of community. The community consists of 50 independent living apartments, which each feature a full kitchen, large bathroom, and spacious rooms designed for active seniors. 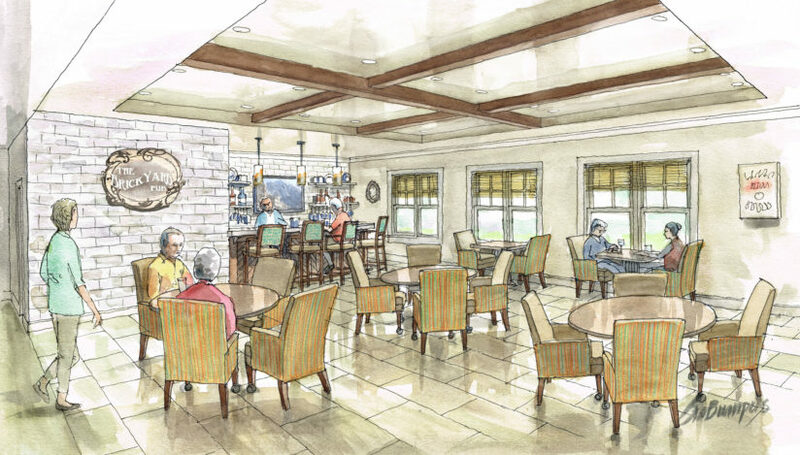 28 assisted living apartments and 28 memory care units are carefully designed to maximize capabilities while allowing staff members to provide a high level of care. 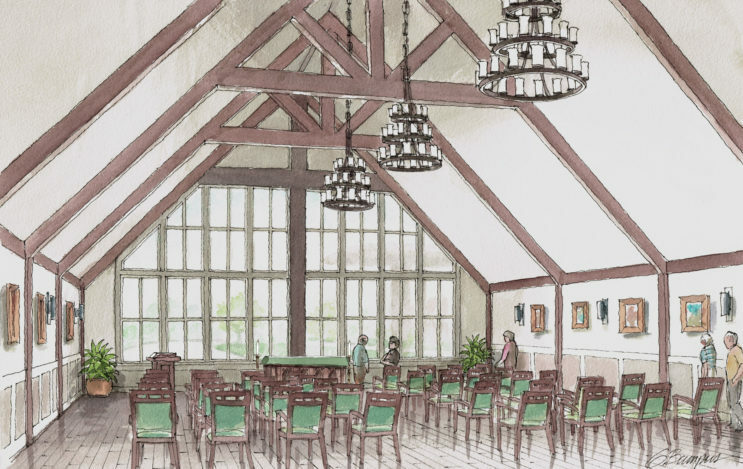 A key feature of the project is the chapel that represents The Village of St. Edward’s dedication to its ministry and provides spiritual space for both Catholic and non-denominational services. Additionally, the project incorporates brick in key areas of the design in order to pay homage to The Wadsworth Brickyard, which was located on the site for many years. 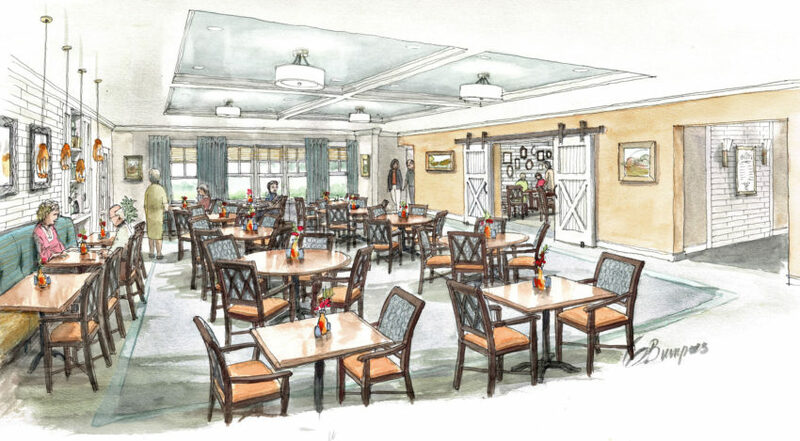 Features and amenities of the campus include restaurant-style dining spaces, a fitness center, salon, health care services, and outdoor spaces that promote resident activity and involvement. A sister facility is under design in nearby Green, Ohio.